Great Place: Lakes and Dales (GPLD) took over a wellness venue near Skipton to host Creative Connections in November. With more than 120 delegates across two days, the conference explored the power of creativity and placemaking. It welcomed a range of keynote speakers, including Alastair Humphreys and Wayne Hemingway. Several exciting projects were launched: Branching Out and Acorn Funds which make up a seedfunding business grant scheme and rural film festival, Hinterlands. An architect design competition in partnership with RIBA was also announced. Attendees came from the worlds of creative industries, rural development, placemaking and those simply interested in what we are all about. There were also some treats laid on with a range of wellbeing sessions, including yoga and meditation classes. There were workshops offering a chance to try a skill such as calligraphy or 3D printing and displays by young artists. There was a real buzz of expectation and determination around the two day Great Place: Lakes and Dales (GPLD) Creative Conference. Perhaps helped by the beautiful surroundings of the new Avalon building at Broughton Hall, the event was greeted with enthusiasm and passion from those who turned up. 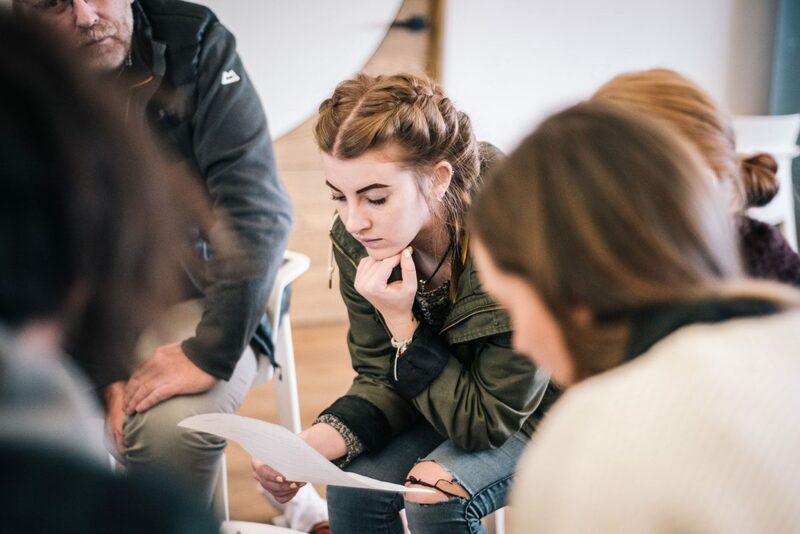 From policy makers, stakeholders, people from creative industries to young people – the feeling was not only that those gathered recognised the issues which has led to a huge drain in young people from the area, but also a real hunger to do something about it. At the core of the conference was a major research project commissioned by GPLD, which is already being used to help policy makers understand some of the reasons behind the exodus. Along with ideas shared at the conference, it is now also being used to shape GPLD’s work over the next year. While some of the research was unsurprising – ie the lack of affordable homes, low paid jobs and poor public transport – the depth of feeling behind the messages was eye-opening. It also revealed how younger people have a genuine affection for the area, and how many want to stay. It also threw up themes around creating more spaces for young people to work, set up businesses and create. Communication and a need for networking and collaboration were also common threads. The conference was broken up into key note speeches, workshops, panels and various activities where people could converse and share ideas. There was also a showcase of young talent featuring performers and artists from the Lakes and Dales such as visual artist Lauren Smith, musician Callum Spencer and poet Hannah Hodgson. Wellbeing has been a common thread in the research, so the conference laid on yoga, meditation and Tai Chi classes courtesy of Avalaon, as well as a herbal medicine walk. Workshops exploring arts, crafts, poetry music, photography and film also proved popular. Tangible projects were announced, including a new grant scheme to help young start-ups particularly those creative industries, as well as a high-profile architectural competition. A rallying call was made for those in positions of influence and policy makers to not only hear younger voices, but also actively seek to give them a voice and greater representation. 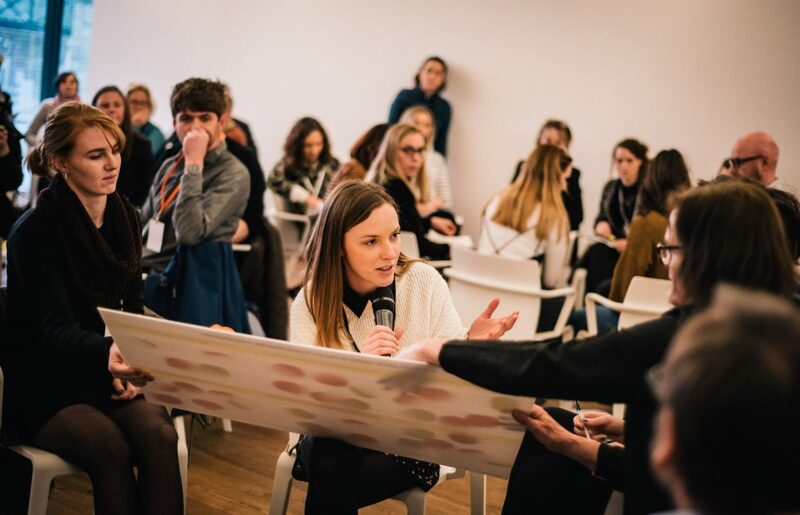 As Rural Youth Project co-manager Rebecca Dawes said during the Creative Economy Panel: “We need to focus on building relationships between young people and not so young people. A panel session on the creative economy highlighted the need to unlock spaces for young people and to change the perception of rural communities. Charles Tyrer, of Settle Stories, pointed to the freedom found in smaller, rural arts organisations and communities, which doesn’t exist in larger outfits and Jane Beardsworth, of Arts Council England, encouraged allowing young people to step up and take control, develop events and run with them. The GPLD team will now begin a raft of activities aimed at securing a cultural future which will encourage young people to feel it’s a real option to stay, return or move in to the area.